Basic custom imprint setup & PDF proof included! 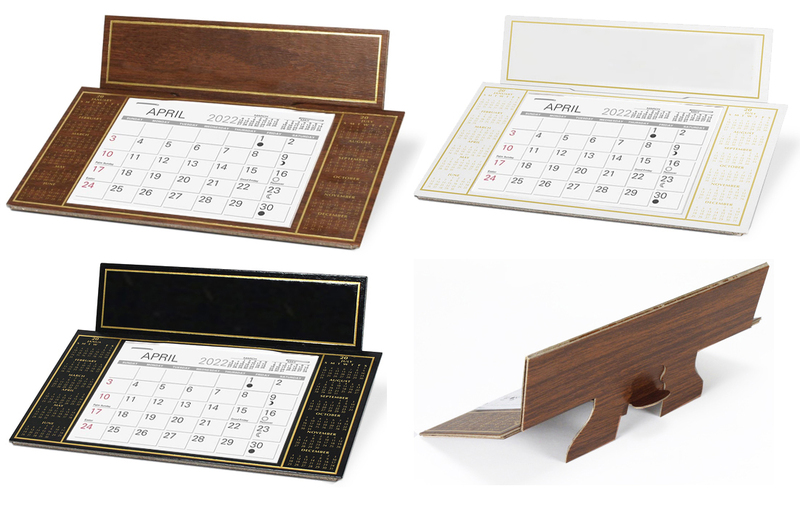 Available in white, woodgrain or black, The Dominique has the full calendar year printed on either side of the calendar pad. 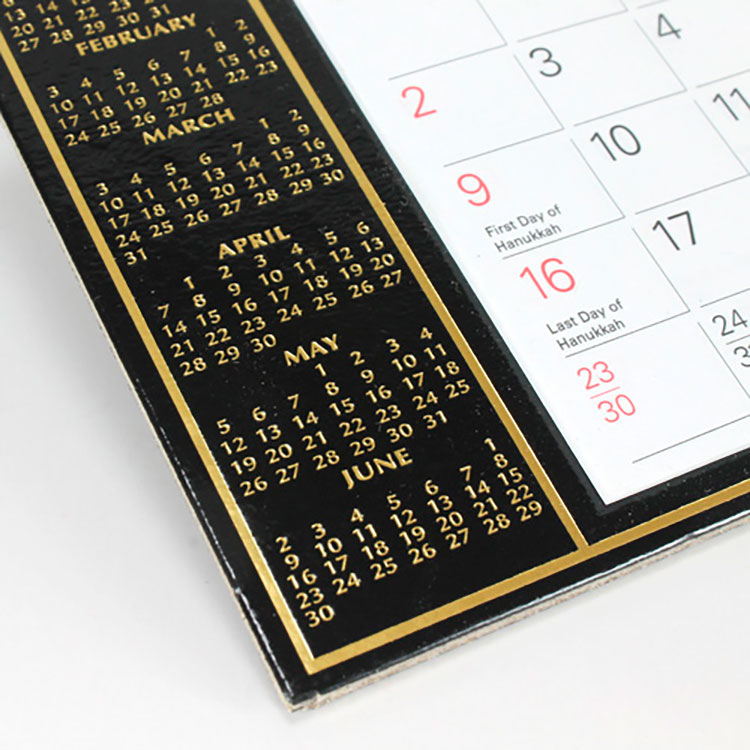 This premier desk calendar includes gold foil imprinting. 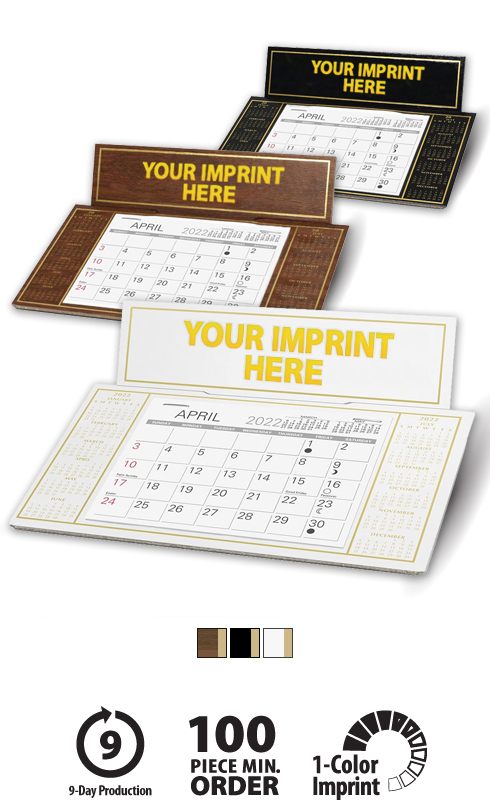 This high-quality premium rigid desktop calendar will proudly display your message for the entire year!